The Minister for Racing John Carter today announced that 29 projects to enhance safety at New Zealand racecourses would receive grants totalling almost $525,000 from the Racing Safety Development Fund. This contestable Fund provides around $1 million per annum to match dollar-for-dollar contributions from racing clubs for projects that enhance the safety and therefore raise the quality and standard of racecourse facilities. "This year's first funding round has addressed a wide range of projects from horse containment fencing and safety running rails, to new stabling areas and tie up stalls." "All of the successful projects will contribute to the improved safety of racecourses and racecourse facilities for industry participants." "In accepting the Government's lead, there have already been a number of clubs that have shown they are willing to match the Government's financial contribution and put in place projects to upgrade the standard of facilities at racing venues. Congratulations to the successful clubs that have benefited from the fund to date", Mr Carter said. Application forms for the next funding round will be sent to all racing clubs by 1 February 2010. Applications will close on 31 March 2010. "I would encourage all racing clubs and the racing code bodies to look seriously, and review health and safety at their racecourses, and to apply to the Fund where there are any issues to be addressed" the Minister concluded. Senior Citizens' Minister John Carter is taking the "It's Not OK" message on the road, travelling to Wairoa today to raise awareness of elder abuse and neglect. Speaking at the Breaking the Silence Hui, Mr Carter says the detection and prevention of elder abuse is one of his top priorities – and one all communities need to be involved in. "It's fantastic to see community groups here in Wairoa coming together to raise awareness about domestic violence and elder abuse. "One of the most effective ways in which we can protect the rights and interests of older people is by raising awareness of elder abuse and neglect. Sadly, many of those experiencing abuse are suffering in silence – and this has got to change." Research shows up to 50,000 older New Zealanders may be suffering abuse, which is most likely to occur at the hands of a family member. "We have to wake up to the different signs of elder abuse. Often, there are no cuts or bruises to see – but someone you love may be suffering abuse nonetheless. "Using older people's money without consent, treating older people like children, and hurling verbal abuse at them – these are all utterly unacceptable forms of ill-treatment." Mr Carter says Age Concern and the Campaign for Action on Family Violence have produced a booklet, Take the time … value older people, which sets out common forms of elder abuse and illustrates how family members, friends and carers can best protect, and enhance the dignity of, older New Zealanders. "I hope as many Kiwis as possible read this booklet – because the longer we ignore elder abuse, the longer our older family members and friends will suffer in silence." Racing Minister, Hon John Carter, today announced the reappointment of Michael Stiassny and Ray O'Connor, and the appointment of Simon Moutter, to the New Zealand Racing Board's governing body. "All three members bring considerable business and industry experience to the boardroom," said Mr Carter. "They will make valuable contributions to the Board." "The members of the Board are expected to play a leading role in developing policies that capitalise on the potential of the industry and drive the industry's economic performance," said Mr Carter. Michael Stiassny was reappointed as the independent chairperson following consultation with the racing industry. Ray O'Connor was reappointed as a board member following his nomination by the harness racing code. Simon Moutter was recommended for appointment as an independent board member by the statutory panel following consultation with the industry, and was subsequently appointed. The three members have been reappointed or appointed until 31 July 2012. The Ministers for Social Development and Employment and Senior Citizens have welcomed the passage of legislation granting greater freedom to superannuitants. The Social Assistance (Payment of New Zealand Superannuation and Veteran's Pension Overseas) Amendment Bill has passed in Parliament this afternoon. The new law will make it easier for superannuitants and veteran's pensioners to live and travel overseas, by revamping the overseas payment policy that's been in place since 1990. Ministers Paula Bennett and John Carter say the National Government is committed to ensuring older New Zealanders get the freedom they deserve in their retirement. "Older Kiwis are more active than ever before. After a lifetime of paying taxes, they deserve the right to head off on an OE in their golden years and take their entitlement with them," Paula Bennett says. A new payment rate means a superannuitant or veteran's pensioner will be able to receive up to the full rate of their entitlement, depending on how long they've lived in New Zealand between the ages of 20 and 65 years. John Carter says those spending time outside New Zealand during that period won't be penalised. "If someone serves time in the armed forces, receives special medical treatment or training abroad, works in an embassy or volunteers overseas they'll still be counted as residing in New Zealand under the payment formula. "Penalising older Kiwis for wanting to move to another country - or travel through many - served no particular purpose. It's not what retirees want - and it's not in line with this National Government's philosophy. We welcome the change," Ministers Bennett and Carter say. Northland MP John Carter says Far North community group Street Maytz, with the support of the Government's Community Max scheme, is making a real difference in the region by getting young people to help with crime prevention. Four Community Max workers and a supervisor started working with Street Maytz in Kaitaia on 28 September with the potential to employ more youth in the future. One young woman had been on the benefit for three years. "She's now doing something she loves – working alongside other young people, gaining valuable work experience," said Mr Carter. The young people are carrying out day and night street patrols, monitoring those going to and from school grounds, checking for lunch passes to reduce truancy, and cleaning up graffiti. "Young people don't take kindly to 'uniforms', but they do respond positively to direction from their peers," said Mr Carter. "It is great that the Government can play a role in helping these young people and their community. "As Crime Prevention Kaitaia project manager Maureen Te Paa said, without Community Max they wouldn't have been able to employ the youth needed to deliver the Street Maytz programme." Community Max targets unskilled 16 to 24-year-olds with low or no qualifications whose chances of getting work is limited. It consists of $40.3 million of funding to support up to 3000 places on community projects for young people. "This is a good opportunity for communities to play a part in addressing the serious issue of youth unemployment. "This is all about providing opportunities - National sees this as a very positive approach to addressing youth unemployment while helping fund useful community projects. "Communities, through local councils, the Mayors Taskforce, iwi, and Pacific groups are being asked to identify projects for their young people to work on. This is a win-win situation." Community Max subsidises a young person at the minimum wage for 30 hours a week for 26 weeks. There is a training component of up to $1250 for each young person, plus a project supervisor for every four workers. "We're looking to all kinds of community groups to come forward with their ideas." Work and Income is managing Community Max. Organisations can call 0800 778 008 if they would like to take part in the programme which finishes in December next year. Civil Defence Minister John Carter has today released the Terms of Reference for the independent review into the Ministry of Civil Defence and Emergency Management's response to the recent Samoan tsunami threat. The review will look at Civil Defence's response to the 30 September tsunami, with a focus on how public information was managed. "While the response to the alert was generally good overall, particularly on a regional level, there were clearly some issues with the way information was communicated to the public," said Mr Carter. "It is critically important that New Zealanders have confidence in our civil defence arrangements. They need to know that they can rely on those arrangements for support in the event of a disaster or serious emergency. The review will be conducted by Dr Simon Murdoch, former Secretary of Foreign Affairs and Trade. "This review will also run alongside the Ministry's own comprehensive review of its operational response. "The improved response by Civil Defence to the 8 October tsunami alert shows that lessons were learnt. However, it is necessary to ensure that the proper processes and procedures are in place to respond effectively and appropriately to future events. "This review will help ensure New Zealand has the best possible civil defence and emergency management systems and support in place," said Mr Carter. The review is expected to be reported back by the end of October. Civil Defence Minister John Carter will present the inaugural Ministerial Awards for Civil Defence Emergency Management in Manukau City tonight. "I am delighted to be making the presentations to 38 Manukau volunteers who are all receiving long service awards," Mr Carter said. "All these people have made significant contributions and deserve recognition at a national level." Gold award, for outstanding contributions to CDEM. "I introduced these awards this year to recognise the work done by volunteers and career personnel in civil defence. "It is most appropriate to be making the first awards during Disaster Awareness Week. Recognition of the great work done by these volunteers will also help to raise awareness of the need for all of us to be prepared for emergencies," said Mr Carter. Creating jobs and putting people into work will be key to the success of the Northland region over the next year, says John Carter MP for Northland. Mr Carter has been speaking today at the launch of the Ministry of Social Development's 2009/10 Regional Plan. The Plan - one of 11 being rolled out around the country this month - sets out the specific needs and development opportunities for the Northland region and how the Ministry is responding to these. "Employment challenges posed by the economic downturn are a focus of the Plan for the coming year. Communities in Northland have been particularly hard hit. "The Regional Plan builds on the existing relationships the Ministry has with employers and industry to maximise job opportunities and limit labour shortages. "In Northland, MSD is working with local businesses to support them with skilled staff where there is potential to grow. It is currently providing staff with the appropriate training for six of our local industries, including healthcare and engineering." At the end of September there were around 3436 working-aged people receiving the Unemployment Benefit in Northland, up from 1665 at the same time last year. Nationally the figure has risen by 37,000 on 12 months ago, but still below 2004 levels. In September 1999 over 148,000 people were on the Unemployment Benefit. "We are already creating jobs for our young people through Job Ops," Mr Carter says. "Since the scheme began two months ago, Northland employers have embraced Job Ops with 58 young people already finding work experience. Right now there are 17 more jobs available. "Employers and the community groups in Northland have embraced both job creation schemes and have stepped up to the challenge of giving our young people experience in the workforce and confidence," said Mr Carter. Civil Defence Minister John Carter has asked for a review into how the Civil Defence and Emergency Management ministry deals with tsunami alerts. "Generally, the response to yesterday's tsunami warning was pretty good, but there are concerning reports about the ways in which some information was communicated to the public. Frankly, that is not good enough," says Mr Carter. "Public confidence in Civil Defence is critical. There are always lessons we can learn from events such as these and I am determined to ensure we do learn from them." Mr Carter says co-ordination between the national Civil Defence headquarters and regional operations went largely to plan, and it is usual for regional civil defence controllers to manage warnings in their own areas, because what works in one area may not work in another. "For example, some places have cell phone coverage and some don't. That's why it's important regional controllers are able to make their own calls on their own patch. "However, I think Civil Defence weren't as helpful as they could have been in communicating with the media in the early stages and I am also concerned about reports saying places like Wellington Airport didn't get timely information. We have to sort that out," Mr Carter says. The International Day of Older Persons is a great opportunity to honour, respect and acknowledge older New Zealanders, says Senior Citizens Minister John Carter. The Day is celebrated on 1 October each year. This year's theme is "Towards a Society for all Ages". "The Day is an opportunity to say thank you for the huge contribution that older people make to society in every walk of life, as grandparents, friends, colleagues, and as mentors to the younger generations," said Mr Carter. "We all know that we have an ageing population, and the effects this will have on society in the future. One in eight New Zealanders is currently aged over 65, and this is projected to increase to more than one in four by 2050. These demographic changes will provide both challenges and many opportunities. "The Government is working to enhance opportunities for older people to contribute in the ways that they choose. Older people are valued as important members of our communities, and our ability to tap into their skills, knowledge and experiences will be critical for ensuring social and economic development. "I will be marking the Day by attending an event in Christchurch, and there are events all over the country to mark the occasion. I urge all New Zealanders to take part," said Mr Carter. Civil Defence Minister John Carter has congratulated regional civil defence operations and coastal communities for their organisation and response to the tsunami warning issued for New Zealand this morning. An earthquake measuring 8.3 on the Richter scale caused widespread damage in Samoa this morning, and triggered a tsunami which reports suggest has wiped out buildings and claimed lives. Warnings of a tsunami of up to 1 metre in height were subsequently issued for the East Coast of New Zealand, with suggestions that other coastal areas would be affected as the wave moved down the country. "While the initial tsunami hasn't caused damage in New Zealand, our preparedness for such events is vital. Civil Defence remains on alert following reports of second wave near Raoul Island, and for any waves caused by aftershocks. "But I can't emphasise enough the need to act on Civil Defence warnings. Areas throughout the country swung into action quickly today – and I congratulate local civil defence controllers for their considered and prompt responses. "Reports suggest the damage caused by the earthquake and tsunami in Samoa is significant. I know this must be a particularly worrying time for all those with family and friends there." The Ministry of Foreign Affairs and Trade is co-ordinating New Zealand's response to the situation in Samoa, and has issued emergency telephone numbers for those who require more information about family and/or friends in Samoa. It is expected further information will be released by MFAT later today. Mr Carter says as soon as the Wellington-based Civil Defence National Crisis Management Team received alerts, regional Civil Defence, Police, emergency services and other core groups were warned about the possibility of a tsunami. "Each region acted immediately to put into place the plan for their area, depending on the anticipated severity of the tsunami. In Gisborne, for example, Civil Defence volunteers drove to low-lying beach areas to alert residents. "It's that kind of attention to detail which helps New Zealand's emergency planning save lives, property and communities." Mr Carter said it was important New Zealanders paid attention to official reports in such situations. "In order to avoid panic and unnecessary worry, New Zealanders should heed only those reports from Civil Defence national headquarters and their local council's Civil Defence team." Residents in coastal areas are still being urged to be mindful of sudden tidal surges and currents in the wake of the tsunami. More than 80 places have been created at local tertiary and training institutes to help 16 and 17 year olds stay engaged in learning, says Northland MP John Carter. A total of 2000 places have been created across the country for youth at private training establishments, institutes of technology and polytechnics as part of the Government's jump-start to the Youth Guarantee programme. "G & H Training and North Tec will provide young people with the opportunity to take part, free of charge, in courses like in tourism and travel, agriculture, building, plumbing, hospitality and catering next year," says Mr Carter. "Our Youth Guarantee scheme gives students who are more motivated in non-school settings an opportunity to re-engage with learning, and gain skills for future employment. "The National-led Government is putting $52.7 million of funding into the programme over the next two years. "We're delivering on our promise to give young people the opportunities they need to succeed. It's important that Northland youth are given every chance to succeed." We are in the early weeks of the 2009/2010 racing season. Preparations are being made for the upcoming spring and summer racing carnivals, and people are waiting in anticipation for another year of quality racing across the country. I'll be attending a wide variety of racing events this season, and am looking forward to getting out and seeing the industry in action. Unfortunately, the promise of the new season has been tarnished by a number of recent events which have brought bad publicity on the industry and blemished its good image. It has been disappointing to see reports of alleged acts of violence and intimidation in the central North Island greyhound scene, and allegations of horse doping in harness racing. As disappointing and as troubling as these events are, the negative publicity they generate does significant long term damage to the reputation and image of the industry as a whole. They chip away at the proud foundation the industry was built on and depends on for its future success. In doing so, they undermine the confidence that punters and the general public have in racing, and serve to further divide the industry. A particular disappointment of these type of incidents is that they undo the good work of the codes, racing board and clubs who invest a lot of resources into enhancing the integrity and reputation of the industry. Another real shame is that these actions of a small few are ruining the great reputation built by the dedication and hard work of those in the rest of the industry. While it is often a case of a few ruining the good work of the many, it is something that all those involved in racing must work to rid the industry of. And they must be stopped for the good of the industry. We all know that there are enough issues to deal with at the moment without also having to deal with these type of issues as well. Racing is at a crossroads and we must be focussed on ensuring that it has a great future and not continually be sidetracked with these damaging and unnecessary events. As already stated, the industry works hard to maintain the integrity of racing. The recent move to bring all three codes under the Judicial Control Authority is a great example of such work. However, it is an ongoing challenge and more can always be done. It is up to the whole industry to work hard to maintain and build its reputation and ensure that those who undermine this work are rooted out. The industry must succeed at this task, as the future success of the industry truly does rest on maintaining its reputation for integrity which has been built over its long and proud history. Auckland has to end somewhere. The National-led Government has welcomed the recent public discussion about just where that should be. We have been considering the select committee's recommendations and listening to your views. On Monday we announced that the current Rodney boundary will be maintained. This means the whole of the Rodney District will be part of the new Auckland Council. This change reflects the views of the Rodney community, and that of the Auckland Regional Council. We've listened to you, and we've acted. You said that the select committee's proposal to split the Rodney District was not what Aucklanders wanted. We heard this, and we responded. We also decided to maintain the southern boundary as recommended by the select committee. Much thought was put into this boundary. There had been arguments for extending it right down to the Waikato River. We have decided that the best option for Auckland and for Franklin is to split it as recommended by the select committee just south of Pukekohe. The southern area will go into the Waikato region. This makes sense because it means the entire Waikato river catchment will be within the Waikato Region. It avoids a lot of bureaucratic complexity and confusion that would have resulted from the boundary proposed by the Royal Commission, and also avoids river co-management issues. The Local Government Commission will have minimal ability to change the boundaries. We are working to ensure that they will make common sense decisions that recognise and protect communities of interest like Waiuku and Pukekohe. Towns and areas close to the boundaries of the new Auckland Council will have their access to local government services and facilities like libraries and swimming pools protected. The Government is asking the Commission to look at these impacts and make sure residents' interests are protected. Over the longer term, the Government expects that all councils will work together to share services wherever this is beneficial to their ratepayers. Changes to local government boundaries are always contentious and every proposal is likely to have vocal opponents as well as vocal supporters. We have listened. We are confident these decisions set a solid foundation for the future, allowing Auckland to grow as a world-class city. Vehicle access to beaches has been a hotly debated local issue recently. With summer around the corner, the matter is likely to gain further attention around the country as more people head to the beaches and the chance of conflict between vehicle users and other beachgoers increases. The issue is a sensitive one. While many people responsibly use vehicles on beaches to get to their favourite fishing or swimming spot, the safety and enjoyment of others is affected by some vehicle users. A balance must be struck between the rights of vehicle users and the enjoyment and safety of others. Tragically, deaths and serious injury can happen when this balance is not struck. Unfortunately, many areas have a limited ability to manage the issue. Part of the problem is that a fragmented patchwork of responsibility for beaches has developed across the country. Around half of councils have the ability to control the foreshore to the mean low water mark, while for the other half authority stops at the mean high water mark. The former have the ability to make bylaws to regulate vehicles and other activities across the entire beach, while for the latter the responsibility for the whole beach is a grey area. As Associate Minister for Local Government I have been working to fix the problem. In particular, I am seeking to remove the patchwork of responsibility by clarifying and standardising council's abilities to control beaches. Earlier in the year I wrote to all councils proposing to give each of them the ability to manage the whole beach. The proposed changes would allow councils to set bylaws to control vehicle access to beaches in their regions. This will allow communities to put controls in place if necessary to suit their particular set of circumstances. Some may choose to fully restrict vehicles from certain beaches; some may opt for limited restrictions while others may decide to have no limits to access. The decisions will up to communities and their councils. The proposed bylaw to control vehicles on Ruakaka beach currently being considered by the Whangarei District Council is a welcome example of how the process should work across the country. It is great to see the council responding proactively to the local community's concerns. Hopefully the outcome of the council's consideration will be a workable outcome that accommodates all users of the beach. While my work on the issue is ongoing, I am hopeful that councils will work constructively to improve their ability to control vehicular activities on beaches. I also hope that other councils follow Whangarei's example of how to manage community concerns over the access of vehicles to beaches. It's an issue that must be resolved - after all, what's more Kiwi than the freedom to enjoy the beach on a summer's day? Local Government Minister Rodney Hide and Associate Minister John Carter are welcoming and endorsing the report of the Auckland Governance Legislation Committee. John Carter is also the former chair of the Select Committee. The Bill as reported from the Select Committee gives local boards decision-making powers, with the Auckland mayor and councillors concentrating on regional matters. The 20 to 30 local boards will have control of funding for community initiatives, local decision-making power over local services and facilities, and the power to propose by-laws. "We said we would listen on the issue of the powers of local boards, and we have," said the Ministers. "We believe the Select Committee's plan for local boards is a good one that will protect and enhance democracy. We thank Aucklanders for their constructive contributions. "The Government was also persuaded by submissions to have all councillors elected from wards. This creates real local authority. We trust Aucklanders to elect local candidates who also have the interests of the whole region at heart. "Importantly, the Select Committee report demonstrates the substantial agreement on the main points: one council, one mayor, one plan, strong local boards and elections from wards. "We will achieve real local authority and strong regional government for Auckland." The Select Committee's report is available at www.parliament.nz under Select Committees and at www.auckland.govt.nz. Civil Defence Minister John Carter is urging local authorities to use new guidelines when assessing the damage to buildings in events such as earthquakes and explosions. "The national guidelines will help councils give building owners and the public assurance and consistency at times of great worry and stress," Mr Carter says. The New Zealand Society for Earthquake Engineering developed the Building Safety Evaluation guidelines with support from the Department of Building and Housing and the Ministry of Civil Defence & Emergency Management. RED – Unsafe: Clearly unsafe – do not enter. YELLOW – Restricted use: Safety concerns. Enter at own risk and only for short periods of time. GREEN – Inspected: Appears sound. No restrictions on use or entry. During a state of emergency, councils are responsible for building inspections and public safety in their areas. The professionally-developed tool is based on international engineering best practice and adapted for New Zealand conditions. The procedures for evaluating damage apply equally in all emergencies. "Our aim is to make people safer during an emergency and afterwards, and help our communities recover rapidly," Mr Carter says. "The key to safety during and after an emergency is the preparation and organisation beforehand. I strongly encourage councils to incorporate the guidelines into their emergency planning procedures." 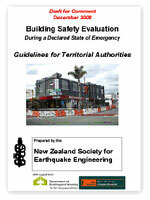 Copies of the guidelines can be downloaded from the New Zealand Society for Earthquake Engineering website. Today, I launched a new, fully revised, schools' resource to help children, schools and families be better prepared for disasters. What's the Plan Stan? 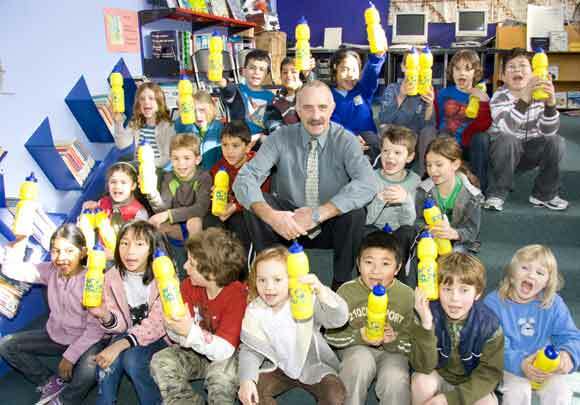 is being distributed to all primary and intermediate schools. As well as being a teaching resource to help children understand and prepare for disasters, it is also designed to help schools develop their own emergency plans. A third purpose is to provide information that families can use to plan for emergencies at home and in their communities. "With the new national curriculum starting in schools next year, we took the opportunity to set up a team of teachers and civil defence staff from around the country to review how emergency management is taught in schools," Mr Carter said. "They have come up with a great new package – much more than just a tweak to make the words fit the new curriculum. "We did not want to add to teachers' heavy work-loads. Stan has been designed so that it can be used in all of the learning areas of the new curriculum. Teachers will not have to take time out from a subject they are teaching but, instead, will be able to include the lesson plans and ideas from Stan in those learning areas." The handbook, website and CD-ROM include information, pictures, videos and links relating to the most recent disaster events in New Zealand and overseas. They include the Gisborne earthquake, New Zealand snow storms and flu outbreaks. A lot of work has been done to provide resources that schools can use to plan and carry out emergency drills and exercises at individual, class and school-wide levels. These include disaster simulations, and evacuations. Schools are also encouraged to plan for situations where children cannot be evacuated and need to be sheltered in the school e.g. in the event of a chemical spill, if roads are closed etc. Children will be encouraged to take home the ideas they learn at school, share them with their families, friends and neighbours, and look at how they might use them away from school. More children will have full tummies thanks to a major funding boost by the National-led Government, says Northland MP John Carter. The Prime Minister announced today on the Big Night In Telethon that the Ministry of Health and Ministry of Social Development are jointly funding $320,000 for KidsCan to deliver free food to an extra 7500 kids this year. KidsCan currently provides free food each week at school for around 8500 financially disadvantaged children. Executive Director of KidsCan Julie Helson says the funding from the National-led Government "could not have come at a better time. We will now be able to meet the needs of the thousands of hungry children on our waiting list, ensuring they are in better position to learn in the classroom." John Carter says, "I'm really pleased that a number of local schools will benefit, including Awanui School, Mangonui School, Te Tii School, Omanaia School, Te Kura Kaupapa Maori o Taumarere, Opononi Area School, Kaitaia Primary School, Moerewa School, Okaihau School, Oruaiti School, Oturu School, Pompallier Catholic School, Rawene School, Te Hapua School, Tinopai Primary School, Totara North School and Te Kura Kaupapa Maori o Taumaarere. 'We know many parents are struggling to make ends meet, and that kids can't learn if they're hungry. "This food will really make a difference to the ability of these children to concentrate at school. "The funding boost is an example of the difference we can make for children and their families when communities come together in a spirit of generosity." The Minister of Civil Defence, John Carter, said that $140 million of science funding announced today will help make New Zealand safer, and better prepared for natural hazards. The Minister of Research, Science and Technology, Wayne Mapp, announced the 10-year $140 million "Natural Hazards Research Platform" this afternoon. The funding is for New Zealand-specific research for all natural hazards - including volcanoes, earthquakes, weather, oceans and others - and is also for research into social impacts and engineering. "This next 10 years of funding is to further advance our knowledge of our hazards, what they mean for our people, our towns and our infrastructure, and how we can make ourselves more resilient," Mr Carter said. "I strongly support the way the research platform has been set up." The Natural Hazards Research Platform provides for long-term, complex research projects, involves different research organisations working closely together, supports strengthened connections across different science disciplines, and focuses on linking research teams with the people and organisations who will use the results. The Platform research is expected to be applied by local and regional government, engineering and design consultancies, emergency services, the Ministry of Civil Defence & Emergency Management and many other central government agencies such as the Earthquake Commission. "Kiwis have already produced world-leading products and ideas that are used in many countries," Mr Carter said. "Base isolators, forecasting systems, risk modelling and building codes are examples of New Zealand research being applied around the world. "The Natural Hazards Research platform will allow our scientists and researchers to build on the excellent work they have already done to make our country safer." The Senior Citizens Minister, John Carter, is praising the latest addition to SeniorNet Learning Centres, which help the over-55's become connected to the net. Mr Carter will be at Ruakaka in Northland tomorrow to open the SeniorNet Bream Bay Learning Centre. "What maybe second nature to younger people can at times be a little daunting for others and these SeniorNet centre's teach the over-55's to embrace advances in computer and information technology, and so I will be delighted to open this latest centre," said Mr Carter. "As Senior Citizens Minister I recognise technology can help enriching the social lives of the elderly and keep their minds active and alert." "Many older people are reluctant to use computers. What they may not appreciate is how much technology can make their day-to-day tasks easier and it can be fun", he said. "Managing your finances, catching up on missed television shows or storing precious family memories - all these are within reach with a few key strokes and so I endorse these centres for helping make it all achievable," said Mr Carter. "It's also pleasing to see the enthusiasm generated by the tutors at these learning centres who understand the kind of support that older people need to learn." "It might mean I receive a lot more e-mails from the older members of the community willing to share their views on the errors of my ways, but I guess that's good for democracy as well," said Mr Carter. National's Northland MP John Carter is welcoming the news that a cycleway is to be developed in Northland. Hokianga to Opua/Russell was one of seven potential cycleway projects earmarked for a 'Quick Start' announced by Prime Minister John Key. "These are only the first set of projects for the New Zealand Cycleway. As the number of tracks grow, and cycle tourism increases, the numbers of jobs generated will increase." The sites were chosen following consultation between local Mayors, Department of Conservation, with input from the local Member of Parliament. The first stage of the announced cycleway will stretch from Kaikohe to Okaihau. While some of these tracks require further feasibility work to be completed I am confident that most, if not all, of the tracks announced will be well positioned for construction to commence this summer. "This is good for our community and good for local businesses." After conducting meetings across Auckland to help ensure the public was better informed about the unitary merger planned for Auckland; Northland MP and Associate Local Government Minister John Carter was elected (by unanimous vote) to chair the Auckland Governance Legislation Select Committee. The select committee has been hearing submissions in July, throughout Auckland, and will report back to the House in September. 1. Barrycourt Accommodation and Event Centre, 10-20 Gladstone Rd, Parnell from Monday 6 July until Thursday 9 July. 2. Northridge Country Lodge in Silverdale on Friday 10 July. 3. Bruce Mason Centre, North Shore on Monday 13 July and 9am until 12pm on Tuesday 14 July. 4. Waitakere Trust Stadium, Henderson from 3pm until 9pm on Tuesday 14 July and all day on 15 July. 5. Silver Oaks Quality Inn, Manukau on Thursday 16 and Friday 17 July. 6. Bruce Pulman Park, Papakura on Monday 20 July. 7. The Dunes, Waiheke Island, Tuesday 21 July. 8. The Centre (Franklin Arts, Culture and library Trust), Franklin on Wednesday 22 July. 9. Barrycourt Accommodation and Event Centre, Parnell on Thursday 23 July. 10. Parliament House, Wellington on Friday 24 July. The media, and the opposition, always like to portray it is a 'back-down' if elected representatives change a policy proposal as a result of consultation. It's the media's job to make stories interesting, and the opposition's job to oppose, so I don't hold it against them. But I do think it is important to recognise the benefit that participation brings to the process of developing any policy. The select committee system allows citizens to talk directly to some of those who will take the final decisions on important matters. It does not replace the responsibility of elected representatives to make the final decisions, but provides them with good information about the risks and benefits the people see in their proposals. A Royal Commission is another way of providing for public participation in developing policies - but again, it would be wrong of elected representatives to put aside their responsibility to make up their own minds and just take recommendations from a Royal Commission as a 'done deal', and implement them without further thought. I hope there will be lots of media attention to the Select Committee on Auckland Governance over the weeks ahead. I hope, also, that teachers will find time in their busy schedules to relate what is happening to the curriculum. Aucklanders are seeing history being made, and participating in it. I am pleased with the quality of the submissions. We have received approximately 2450 and of these about 1100 are form submissions. There are around 780 oral submissions to be heard by the select committee and 670 written submissions. A Maori sub-committee of the Auckland Governance Legislation select committee will take hearings to marae across the city. The whole select committee will sit in the north, west and south of the region and on Waiheke, with a smaller sub-committee going to Great Barrier Island. This has been an exciting process with good positive public participation through the public meetings and submissions process. There will be more public consultation through the next stages of the bill process as we work together to make Auckland an even more super city. Holding public meetings across Auckland, listening to concerns and aspirations for the new united council and answering questions has been, for the most part, very enjoyable. It is widely accepted that the best way to tackle the problems and lay a foundation for the future for the greater Auckland region is to put a united council in place. At a meeting at Takapuna the North Shore Mayor Andrew Williams told me he and three other mayors had combined to make a detailed submission on how they felt the city should be structured. They had also encouraged other groups and individuals to make submissions. That was exactly the response we hoped for. It reflects the growing consensus that I have seen emerging at each meeting as people consider how they want to participate in shaping this new united council. That unitary authority will deal with regional issues – make sure water comes out the pipes where it should, sewerage works properly, transport flows better than it is at present – the main aspects of service delivery people expect of their local authority. To empower the diverse communities of this great city further there will be a number of local boards. The process is moving along. The first Bill created the platform for the reorganisation and was enacted on May 14. The second Bill, with your submissions helping to shape it, will give the democratic structure to the new council and the boards. It will also give a stronger outline to the responsibilities you want your boards to have in your community. Submissions to that have now closed and I will be taking the select committee to various locations around Auckland to hear those submissions. The select committee will report to Parliament on September 4. The Local Government Commission, with your submissions also helping them, will determine the boundaries for the new united council and the boards. There will be targeted consultation in this process and it will be in place, with your help, by April 2010. The third Bill will also attract your submissions through the end of this year and into 2010. The select committee will again consider your submissions – this time on exactly what you want the council and the boards to do, and report to Government by no later than April 2010. The new structure will be in place for local government elections in October 2010. Achieving a unified structure to govern Auckland has been talked about for almost 100 years. Let's get on with it. The Government will contribute $5 million to reduce flood risk in the Whakatane District. Civil Defence Minister John Carter, said that Cabinet has agreed to provide $3.367 million to the regional council, Environment Bay of Plenty, and $1.644 million to Whakatane District Council. Mr Carter said the councils had jointly requested Government assistance to reduce the impacts of possible future flooding of the Rangitaiki River, particularly in the urban Edgecumbe area, and also in Awatapu. "The work will greatly reduce the likelihood of flooding, and if a flood did occur, it will make it less severe," Mr Carter said. "The councils worked with their communities, scientists, engineers and each other to find possible solutions. They chose what they saw as the best options and brought those to Government. "After robust assessment, Cabinet has agreed to provide $5 million of funding to mitigate the flood risk hazard." establishing a new location where flood waters can be pumped during an emergency. installing a second pump station and associated infrastructure at the lagoon. Two community buses will carry elder abuse and family violence prevention messages around the Far North for the next year at least, and Senior Citizens Minister John Carter took the first ride on Friday June 12. "This is an important message. There is one other bus in Christchurch carrying the 'It's Not OK' campaign message, and I'm proud to be launching this message in my own electorate," Mr Carter, who is also MP for Northland, said. "We consulted closely with our community, who made it clear they did not want a stern, finger-pointing message, and I agree," Mr Carter said. "The buses invoke a positive message - to cherish our elders, to stand up for safe families, and that's how it needs to be. The messages are in Maori and English." Emblazoned with the 'It's not OK' campaign message and invoking the positive action the Minister wants to see, the two 18-seater buses also help address transport problems on the outskirts of the Far North town of Kaitaia. "One is a workers' bus, picking up people and taking them home through the week. The other is a shoppers' bus that picks up the elderly. Both buses help in an area where public transport is almost non-existent," Mr Carter said. Mr Carter travelled on the first bus from Kaitaias Community Business and Environment Centre (CBEC) to pick up elderly guests for the launch. It is good to be reminded that we should value older people and the knowledge, skills and experience they can share with us, according to Senior Citizens Minister John Carter. Elder abuse is a hidden problem and universal – it is not limited to any one gender, religion, culture, ethnicity or income group. Mr Carter said Elder Abuse Awareness Day on June 15 is one of those timely reminders. Estimates are that between 3 - 10 per cent of older New Zealanders (15,000 - 50,000 people) are likely to experience abuse. "The government and the community, through the Its not OK Campaign and Age Concern NZ, are raising awareness of elder abuse and the need for families to respect older peoples wishes," Mr Carter said. A new booklet Take the time …value Older People about elder abuse has been produced by Age Concern and the It's not OK Campaign, and will be available from June 12. "We are working to raise awareness that elder abuse and neglect does happen, that it's not OK and advise older people about their rights and how they can seek help," Mr Carter said. "I travelled on the local Kaitaia community bus service Bus About Kaitaia and saw the awareness raising campaign in action. The back of one bus is a moving billboard for the 'Elder Abuse is not ok – It is ok to ask for help' message and for publicising the help phone number," Mr Carter said. There are 24 contracted Elder Abuse and Neglect Prevention Services in New Zealand that can provide support and services, take referrals and co-ordinate intervention. These people have specialist knowledge and skills in preventing family violence and dealing with difficult issues. "The government supports older people to be part of their communities and is working with agencies to encourage older people to exercise their rights and advocate for their own interests," Mr Carter said. The Health Ministry has allocated funding to drinking water improvement in the Far North, and Northland MP John Carter says it is timely and valuable to the area. "The Capital Assistance Programme will help get safe drinking water to rural communities, and the Health Ministry has approved funding to12 applicants in Northland. This is of real value to the quality of life for the people in these areas," Mr Carter said. He said the list included Kaeo Hospital, Matatina Marae, Maungatoroto, Motukiore Marae, Motuti Marae, Owhata, Parahaki Marae, Parapara Marae, Ruawai, Te Aroha Marae, Whakaki Marae and the Henare and Maggie Tohu Trust. "A technical assistance programme is also in place to provide advice to small water suppliers," Mr Carter said. The Budget boost for warmer, drier homes is good news for families in his electorate, according to John Carter. Speaking to the 2009 Budget in Parliament, the Northland MP said the grants for insulation and clean heating for 180,000 homes was especially good for the children in those homes. 'This will impact on childrens' health,' Mr Carter said. 'In my electorate that is an issue. The Government will grant up to $1800 for houses built before 2000, and that is a lot of homes in the North,' he said. Budget 2009 allocates $323.3 million over four years for a campaign to fit homes with insulation and clean heating devices such as heat pumps and approved wood burners. The scheme starts on July 1 this year. 'I am also pleased that holders of Community Services cards will be eligible for additional funding, and money will be set aside to ensure that low income households are targeted,' Mr Carter said. All Budget 2009 material is available on the Treasury website. Controller Robert Donald, receives his National Certificate in Vegetation Fire Fighting Level 2, from Principal Rural Fire Officer Fiona Vessey and MP John Carter. Donnellys Crossing's Volunteer Rural Fire Force celebrated three-and-a-half busy years on May 31 at an Honours Function attended by Northland MP John Carter and Kaipara District Council and Fire Service representatives. Mr Carter, who is also Minister of Civil Defence, congratulated the volunteers on "ensuring an essential part of the safety and wellbeing of your community." "We might have central and local government but the first response is going to come from you," Mr Carter said. Amid accolades from the visitors the function saw Robert Donald, Diane Reihana Ruka, Georgina Williams, Margie Orsmby and Dave Collyer receive certificates acknowledging their earning National Certificates in Vegetation Fire Fighting Level 2 along with Three Year Service medals. Members were also honoured with a number of internal awards. Donnellys Fire Force was set up in August 2005 and averaged about 20 callouts a year included some big challenges. "The Waipoua coastal fire took three days and was a real learning curve. Then Julys big storm had us on Civil Defence work for 36 hours, non stop. There were 39 separate incidents and we were pushed to the limit," Controller Robert Donald said. Other big events included a large fire on Fosters Road and another in an inaccessible area at Tutamoe. 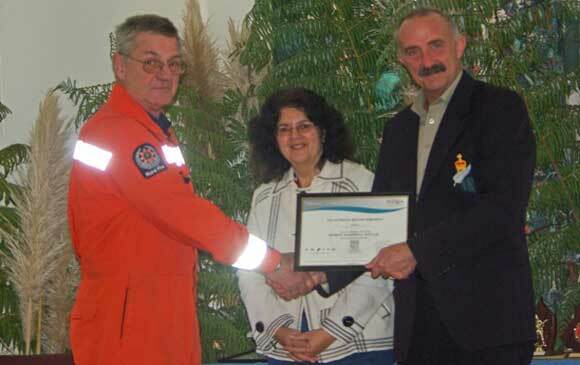 Donnellys is the only Rural Fire Force in Northland that has reached National Certificate Level. Civil Defence Minister John Carter has offered his condolences to the family and colleagues of Senior Constable Len Snee who died of gunshot wounds in the Napier siege. Mr Carter said his thoughts were also with the three men wounded in the incident, Senior Constables Grant Diver and Bruce Miller and a member of the public who was also shot. Mr Carter also praised the sensitive and organised response of Civil Defence volunteers in the city, led by Napier City Council Civil Defence manager Angela Reade. 'Civil defence volunteers worked in shifts to man the welfare centre, which registered more than 300 people forced from their homes by the incident. More than 100 were given alternative accommodated each night,' Mr Carter said. Mr Carter also noted the efforts of Police and emergency services in the city that had contained the events and offered prompt assistance to the people affected. 'Mayor Barbara Arnott is to be complimented for the response in her town to this tragedy and the tensions the siege caused,' Mr Carter said. The small Far North community of Taupo Bay has emerged from a tsunami warning civil defence exercise with flying colours after a first test of its evacuation systems yesterday. (Friday May 1 2009). Most of the community took part in the systems test along with Northland MP and Minister of Civil Defence John Carter, Far North District Council civil defence staff and police, fire and ambulance services personnel. Within an hour of the tsunami siren sounding, 48 people were safely evacuated from the bay to the fire station located on a hill about three kilometres inland and designated as the communitys welfare centre for the day. The smooth operation was an innovative triumph over Taupo Bays notorious communications challenges – the coastal community has no am/fm radio signal, no free-to-air television and very limited cellphone coverage, making usual emergency alert communication channels impossible. "It was fantastic, brilliant, it couldnt have been better," Mr Carter said. "I am really proud of the community leading the way for communities around the country and I want to use Taupo Bay as a flag carrier for the rest of New Zealand." Mr Carter said the greatest challenge in civil defence was the lack of preparedness by individuals and communities. "Taupo Bay has taken the initiative to ensure individual households and the community in general is well prepared. The community and the council need to be commended for the position they have taken." Civil defence coordinator Bill Hutchinson said the council and the community worked together over several years to come up with a practical community response plan that would suit Taupo Bay and then put the systems in place to make it happen. "It was great to see it all unfold so well," he said. "This initiative has come from the community itself and the community made it happen on the day. There are a few refinements to make but the exercise generally went like clockwork. The exercise was a definite success." The wardens personally alerted the people in their pre-designated sectors who then made their way to the fire station while others informed incoming traffic of the tsunami warning and surfers were advised of the danger. Taupo Bay Progressive Association president Di Sinclair said she now feels confident that the community would be able to cope in the event of a tsunami and the community as a whole shares her confidence. "The community is right behind this and has worked together to make it happen," she said. "We are very pleased with yesterdays result and my hope is that other communities will follow our lead and work with the council to make their communities safe." Mr Hutchinson said the council was currently working with several other communities to develop community response plans, which were designed to help them become temporarily self sufficient if they were isolated as the result of an emergency. "To be effective, the plans need to be community driven and tailor made to suit local situations," he said. "I would like to hear from any communities who want to find out more about these plans and help make their communities safe like Taupo Bay has done." Simplicity, grassroots representation and a crisp, efficient structure is the hallmark of the super city authority that will govern Auckland by the end of next year. Northland MP John Carter, in his capacity as Associate Minister of Local Government, has been burning the midnight oil since the Royal Commissions recommendations were handed to Local Government Minister Rodney Hide and Mr Carter two weeks ago. It was announced today that the Government agreed with a Royal Commission's recommendation to set up a new Auckland Council, with one elected mayor. But the Government rejected the commission's recommendation of setting up six local councils, instead deciding to set up 20 to 30 local boards to control local affairs at a grassroots level. With a longstanding interest in local government since his days as Hokianga County Clerk before being elected to Parliament, Mr Carter said participating in the Auckland governance issue had been a "real privilege". "We took the Commissions recommendations and, within a short period of time, found a structure that will allow Auckland's leaders to plan in a way that is crucial for this city that is such a key to New Zealands economic growth," Mr Carter said. He said the new Auckland Council and the local boards will lead to strong regional connections, community control at neighbourhood level and a better return for rates and government funding. "There are some matters to be resolved, but it was essential we gave Auckland a simple, effective vehicle for smooth implementation of regional decisions," Mr Carter said. For more information on Auckland governance issues visit the Making Auckland Greater website. A second contingent of New Zealand firefighters was farewelled on behalf of the Government by the Minister of Civil Defence John Carter at Whenuapai. The firefighters flew to Australia on March 4 to help contain the bushfires in the state of Victoria. Mr Carter said the firefighters efforts were helping to alleviate damage that could have a long term effect on Melbournes water supply. 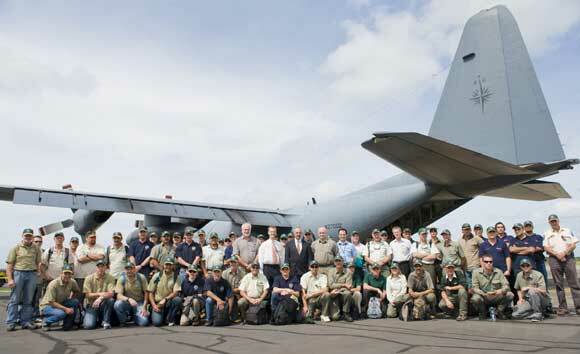 Mr Carter is picture above with the team of 57 firefighters, crew leaders and Incident Management team before the team was transported to Melbourne in a New Zealand Defence Force Hercules. Mr Carter also welcomed home the first contingent of firefighters returning from Victoria at Auckland Airport on March 5. 33 firefighters, seven members of NZ Police including dog handlers and four police dogs were met by Mr Carter and Fire Service manager Gary Lockyer. Northland MP John Carter says $500million Jobs and Growth stimulus package announced by Prime Minister John Key last week revealed an important priority for the Government. "Almost half that money is spread amongst schools across the country," Mr Carter said. "As well as stimulating jobs and growth, the investment in our childrens education will reap long-term benefits." Mr Carter said Kerikeris need for a new primary school was being met in the package, with construction to start on the $10.8 million school on a 4.3ha block at Waipapa Road in April 2010 instead of 2011. "It is also likely that other schools in the Far North will receive funds in this package for other education-related projects," Mr Carter said. The Community Initiated Education Planning (CIEP) process that was measuring education needs against projected population decline has now been halted in the Far North. "The CIEP had its inception in 2006 when concerns were raised about how schools could manage a projected population decline forecast by 2006 census data," John Carter said. He said consultation was undertaken with iwi, boards of trustees and key stakeholders at primary schools on the East Coast and Kaitaia; intermediate schools in and near Kaitaia and all secondary schools in the Far North. "School rolls for Kaitaia in particular were looked at in the light of the demographic projections. Closer look at these projections shows the overall population at Kaitaia will in fact increase by 5-7% over the next five years," Mr Carter said. "There is no evidence of declining numbers of school aged children in the area, so there is no need to continue the CIEP process. This is positive news for the North. "Some schools will have more growth than others, but that will be the result of factors other than population growth. We cant predict roll status of individual schools five years out, especially in the light of economic impacts, but parent and student choice in schooling will remain," Mr Carter said. "We still need to look hard at educational outcomes and the need for fundamental academic achievement for Northlands students, but the end of the CIEP process will help create the positive environment that enables our schools to attract and retain quality staff." Racing Minister John Carter has announced that applications for the next round of the Racing Safety Development Fund are now open. The Fund supports projects that enhance racecourse safety. "The second round of the 2008/09 Racing Safety Fund is now open and racing clubs are invited to submit applications for funding," Mr Carter said. "Racecourse health and safety is one of the most important issues in the industry. This includes the safety of riders, spectators, officials and others involved in racing, and the health and safety of the animals. "Clubs need to actively address racecourse health and safety. The Fund is there to support their efforts. "The Fund has supported a wide range of projects, including the installation of modern safe running rails, major structural repairs to hazardous grandstands, and the construction of safer horse stabling facilities," Mr Carter said. "There are over 120 racing clubs racing at nearly 70 racecourses around the country. Clubs should be looking at the condition of their facilities and assessing whether they are a safe environment for their customers," Mr Carter said. The Minister for Racing has written to all racing clubs inviting applications to the Fund. Applications need to be submitted by 31 March 2009. Information on how to apply to the Racing Safety Development Fund, and a copy of the application form, is also available on the Department of Internal Affairs website or by calling (04) 495 9391. Northland MP John Carter has welcomed the quick decision by Education Minister Anne Tolley this week to allow a roll cap increase for the Kaikohe Christian School. The school had been capped at 100 students and an application for increased roll to improve the schools viability was turned down by the Minister of Education under the Labour government. "There was strong complaint from the Kaikohe community before the election," Mr Carter said. "Ministry officials saw fit to allow the school to re-apply for a roll cap increase. Im pleased Education Minister Anne Tolleys team have responded quickly to sign off an increase to 156 students, and in time for the students and families concerned to start the school year smoothly." Mr Carter said the decision reflected parents and communities right to choose the type of education they wanted for their children. Kaikohe Christian School proprietor trust chairman Mike Shaw said he was grateful to Mr Carter for helping in the process, and to the Ministry of Education for reconsidering the schools application. "By coming to the community, listening to concerns and taking some of those on board, the ministry has demonstrated the essence of the partnership between the Crown and Proprietor reflected in the Integration Agreement. "We look forward to seeing that partnership strengthen under the new Minister of Education," Mr Shaw said. It might have been a quarter of a century ago but memories came gushing back at a function to commemorate the 25th anniversary of the 1984 Southland flood. Members of the Civil Defence response team, emergency services and other key players involved in the floods gathered at Invercargill along with Civil Defence Minister John Carter to remember the disaster. The catastrophe flooded more than 1400 homes in Invercargill and outlying towns, leaving many families struggling in temporary accommodation for months. An overwhelming theme of the afternoon was that of community spirit, with Invercargill and Southland mayors Tim Shadbolt and Frana Cardno alongside others paying tribute to the co-operation and kindness showed by everyday people. Deputy Mayor Neil Boniface said the day was a celebration not of "Black Friday" but rather the great work done by the community in the face of disaster. "I think the community spirit actually rose quicker than the water did," he said. Mr Shadbolt spoke of the difficult moral decisions that needed to be made in such a crisis and also stressed the importance of the community's involvement. "To me what is part of what we should be celebrating is the human stories," he said. "I think at the end of the day the only thing that really gets us through a crisis is ordinary, everyday people." Invercargill resident Anne Stoddart, who was the Civil Defence chief welfare officer at the time, said she was so busy trying to feed, clothe and take the names of victims, there was little time to dwell on the devastation. However, the 25th anniversary had dredged up memories she thought were long forgotten. "I'm amazed at how emotional I've become over the last couple of days as things have come up to the forefront, remembering things that I thought I had forgotten." Mr Carter said the main focus for the next three years would be on public awareness and making sure people realised they needed to be able to survive for at least 24 hours on their own. Government departments, councils and emergency services working together was essential but there was only so much that could be planned for, he said. "It will never be enough for the very reason that whatever you plan for, there will be something that will top it." Northland MP John Carter will open the expanded Ngawha Geothermal Power Station at the weekend (January 31). Standing in for Energy Minister Gerry Brownlee as Crown representative at the occasion, Mr Carter said the expanded power plant represents a unique Northland achievement. "Top Energy is the only power lines network company in New Zealand to own large generation. It makes up approximately 50 percent of the Companys business and supplies 70 percent of electricity used in the Far North," Mr Carter said. "These are significant achievements. The expansion I am opening at the weekend cost $78 million and was funded solely by Top Energy. The construction also generated a lot of employment. "It will employ eight staff fulltime and provide significant work for local engineering and general maintenance businesses. It is a credit to the effort and ingenuity of Northlanders and a great example of what can be achieved," Mr Carter said. Mr Carter said it was also a fitting final occasion for outgoing Top Energy CEO Roger de Bray, who will be farewelled at a function at Kaikohe in the evening following the opening of the power station. "Roger drove the corporatisation process that created Top Energy from the former Bay of Islands Power Board. He instigated the formation of the Trust ownership model which secured control of the company and its autonomy for the Far North. He displayed visionary leadership for 18 years at the helm of this crucial Far North company." "Roger hands over to new leadership in CEO Russell Shaw. He hands over a tight and effective company and I have every confidence Russell and his team will continue to protect and build this vital asset to serve the Far North," Mr Carter said. How safe is that building? The Ministry of Civil Defence & Emergency Management is encouraging local authorities and other organisations to comment on draft Building Safety Evaluation Guidelines (PDF file). The Ministrys Director, John Hamilton, said that the guidelines would be used to assist local authorities to prepare to quickly evaluate the safety of buildings when a state of emergency has been declared after an earthquake or other emergency. The draft guidelines have been prepared by the New Zealand Society for Earthquake Engineering with support from the Ministry and the Department of Building and Housing. The draft guidelines have been circulated widely for comment, including to all city and district council chief executives and the 16 regional civil defence emergency management (CDEM) groups. Comment should be made to the Societys project leader, Dave Brunsdon, by e-mail. The Gisborne earthquake of 20 December 2007 provided a reminder that it is crucial to quickly evaluate the safety of buildings and decide if they should be occupied again. 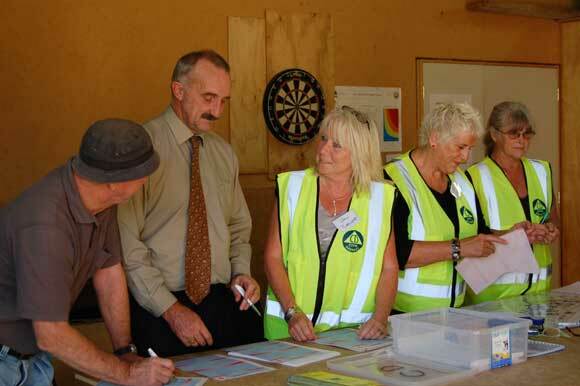 The Gisborne District Councils actions in response to the earthquake reduced anxiety amongst owners, tenants and the public by providing rapid and authoritative decisions on the safety of their buildings. The Society has updated its 1998 document on post-earthquake building safety evaluations, drawing upon the experiences from Gisborne. Changes have been suggested to: how buildings are classified, who directs the evaluations, and references to relevant legislation. Green: inspected, apparently okay, no restrictions on use or entry. Yellow: restricted use, safety concerns, parts may be off limits, entry only on urgent business, leave as soon as possible, detailed engineering evaluation required before unrestricted use. Red: clearly unsafe, do not enter, detailed engineering evaluation required before any use. It is intended that local authorities, engineers and others who might be involved in building evaluation would use the guidelines before emergencies occurred to help prepare them for the work they would have to do after an emergency. People can find practical information about what the can do to help themselves prepare for an emergency on the Ministry's "Get Ready Get Thru" website. 1. Most earthquakes recorded by GNS Science are not reported to the Ministry as they are detected by measuring equipment but not felt by people. 2. Now included in other weather warnings. 3. The European Space Agency advised that its "automated transfer vehicle", Jules Verne, would re-enter the atmosphere and burn up scattering debris about 2,000 km East of New Zealand. Destruction on re-entry was planned and occurred as expected. Jules Verne carried no nuclear material. The Ministry of Civil Defence & Emergency Management announced today that it recorded 968 weather and geological events in 2008. The Ministrys Director, John Hamilton, said that the breakdown of events highlights what we should expect in New Zealand – about two-thirds of the events were earthquakes and heavy rain warnings. One emergency was declared in 2008 – in Marlborough during the nationwide storm at the end of July – compared to four declarations in 2007. An emergency does not need to be declared for agencies to respond. The nationwide storm is an example where emergency management agencies throughout the country responded but it was only in Marlborough that the impact was severe enough to declare an emergency. Over a longer period there is a clear pattern of emergency declarations in the last six years there have been 15 declarations, 13 because of flooding. Historically, flooding is by far the most common emergency in New Zealand, though several earthquakes, most too small to be felt, occur every day. The Ministry has staff working 24 hours a day seven day a week monitoring information from science agencies, meteorological services, emergency management organisations and others throughout New Zealand and overseas. Teams working and on call 24/7 in Auckland and Wellington issue advisories and national warnings when information meets thresholds and activate the National Crisis Management Centre, which is beneath the Beehive, as required. Most of the information received, and analysis provided, is about events that do not become emergencies. They are monitored as a precaution, in case they become emergencies. "We cannot tell where or when the next emergency will occur," Mr Hamilton said. "The first people to experience it could well be those who are right there at home, at work, at school or wherever it happens. "In such a case, local resources are likely to be stretched at first. Additional assistance from outside the region and local community will be available but could take some time to be deployed. We all need to be aware of that, hence the message that our people and communities must be prepared to cope on their own initially." John Carter has praised the "spirit of community" with which Dargaville faced the loss of several businesses and damage to the towns historic skyline in a devastating fire recently. "This is when we see the real strength in our provincial towns," Mr Carter said. "The blaze is the worst for almost fifty years, and it drew a response from fire brigades and rural fire forces from Dargaville, Te Kopuru, Ruawai, Whangarei, Kamo, Paparoa, Maungaturoto, Donnellys Crossing and Hikurangi." "Police, Ambulance, Northpower staff and Department of Labour personnel and others pitched in. This was a very large blaze and could have spread a lot further but for this exceptional effort. Its what makes our towns so strong and its the type of resilience that makes recovery possible." Mr Carter said the discovery that there was asbestos in the buildings added to concerns and would also make the cleanup a longer job. "But these challenges will be faced, and Dargaville will rebound from this blow to the owners and employees of the five businesses lost in the blaze and the loss of these services and income at a critical time. I join with the Mayor Neil Tiller and Dargaville's civic leaders in saying everything will be done to help facilitate the recovery." Racing Minister John Carter has announced that 26 projects to enhance safety at racecourses across the country will receive grants totalling $575,000 from the Racing Safety Development Fund. The contestable fund provides around $1 million each year to match dollar-for-dollar contributions from racing clubs for projects that enhance the safety and therefore raise the quality of racecourse facilities. "On course safety is a major issue facing many of our racing clubs," Mr Carter said. "This is a worthwhile initiative and well worth the support of the new Government." This funding round was applied to a wide range of projects from the replacement of unsafe running rails to the replacement of a grandstand fire escape. "I wish to congratulate the clubs that received funding in this round, and also urge all racing clubs to review health and safety issues at their racecourses in time to submit their applications to the next funding round," Mr Carter said. Applications for the next funding round close on March 31 2009.